A PERSON has died in Northern Ireland after being given their swine flu vaccination, The Detail can reveal. The death was reported as a suspected adverse reaction to the H1N1 vaccine sometime between January 1st, 2010 and February 8th, 2011. The report was among hundreds submitted from Northern Ireland to the central government agency responsible for ensuring that medicines and medical devices work and are acceptably safe. A wide range of side effects suspected to be linked to the swine flu and cervical cancer vaccinations – given to teenage girls – were reported by healthcare professionals, patients, parents and carers in Northern Ireland to the Medicines and Healthcare products Regulatory Agency (MHRA) during 2009, 2010 and the early weeks of 2011. The MHRA’s Yellow Card Adverse Reaction (ADR) scheme allows health professionals and patients to report suspected adverse drug/vaccine reactions on a voluntary basis and was introduced in 1964 after the Thalidomide tragedy highlighted the urgent need for routine monitoring of medicines. It receives more than 20,000 reports of possible side effects across the UK each year. The Department for Work and Pensions (DWP) has confirmed that almost £2m has been paid out in compensation to 25 people in Northern Ireland severely disabled by vaccines since 1979. The MHRA said that it could give no further details on the recent Northern Ireland death including the age of the person or when the death occurred. Surprisingly, the Department of Health in Northern Ireland claims to hold no information on the fatality and it also confirmed in response to a Freedom of Information request from The Detail that it is “not routinely provided” with information on adverse reaction reports originating from the province. The Coroner’s Service is not investigating the latest vaccine-related death. The MHRA has stressed that adverse reaction reports are not proof that the reactions were caused by the vaccine/drug and that the flu vaccines are mainly given to elderly people and those with serious, chronic underlying illnesses. Thousands of children and adults receive vaccinations every year in Northern Ireland and the overwhelming majority suffer no ill effects and certainly no serious damage. However, The Detail has investigated what happens on the rare occasions when vaccines do go wrong and it makes disturbing reading. What does the government do when a serious side effect is recorded? And what support is given to families? The answer to both questions appears to be very little. Today we highlight the case of one Co Down family living with the heartache of their 15-year-old son dying days after receiving a vaccination at school in 1994. There is no doubt in Anne and Harry Coulter’s minds that the combined Measles and Rubella vaccine Christopher received 10 days previously played a part in his death. And we speak to the mother of a 19-year-old boy living in England who finally received government compensation after he was severely disabled by the MMR vaccine he received at 13-months-old. His mum Jackie Fletcher set up the well-known parents’ campaign group Jabs to provide support for other families concerned about vaccines. In response to a Freedom of Information request, the Department of Health, Social Services and Public Safety said it does not hold any department communication on the recent death linked to the H1N1 vaccine or action taken by the department after it was reported under the Yellow Card scheme. 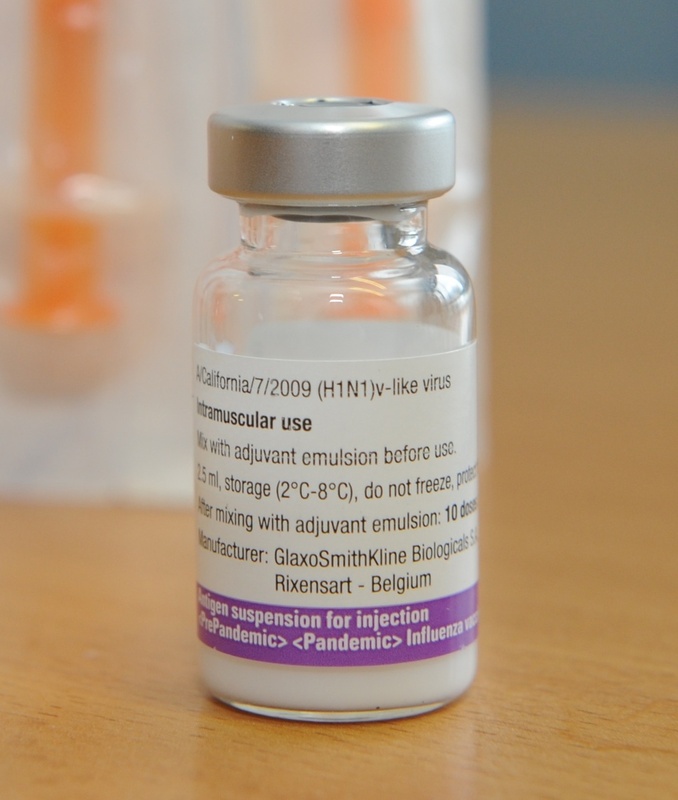 Following a request from The Detail, the MHRA has provided statistics on adverse reactions to the swine flu (H1N1) and cervical cancer (Human Papilloma virus – HPV) injections reported by people in Northern Ireland over the last two years. Ninety-four reports covering 261 reactions to the HPV jab were received from Northern Ireland from January 1, 2009 to February 8th, 2011. During the same period, a total of 112 reports covering 233 reactions to the H1N1 vaccine were also received. The agency was unable to confirm whether other serious reported reactions to H1N1 during 2010/11 were connected to the person who died or if these were other extremely serious conditions impacting on other people in Northern Ireland. Many of the reactions reported over the two year period were short lived and not serious and include nausea, vomiting, headaches, dizziness and rashes. However, more serious adverse reaction reports received from Northern Ireland for H1N1 during 2009 include nervous system disorders, lip swelling, chest discomfort, muscle pains, hallucination and heart palpitations. Suspected reactions to the HPV vaccine in the same year include convulsions, increased heart rate, throat tightness and face swelling. As well as the death reported in 2010/11, other suspected side effects reported for H1N1 during this period include a heart attack, a bleeding disorder, chest pain, joint swelling, loss of consciousness, narcolepsy, renal disorder, breathlessness, acute respiratory distress syndrome, circulatory collapse, capillary leak syndrome and low blood pressure. For HPV, suspected reactions in 2010/11 include palpitations, blurred vision, swollen lymph nodes, chest pain, irregular heart rate, muscle pains, weight bearing difficulty, loss of consciousness, unresponsive to stimuli, nerve paralysis and disorientation. The Detail requested an interview with Health Minister Michael McGimpsey or Chief Medical Officer Michael McBride, but this was declined. Instead, a spokeswoman provided answers to questions we put forward. This response included: "The department is aware that from time to time adverse reactions to medicines, including vaccines, will occur. A UK-wide report by the MHRA looked at the 3,310 reports of 8,608 suspected adverse reactions to new H1N1 swine flu vaccines received between October 2009 and March 2010 including 32 reported deaths. It concluded that “the balance of benefits and risks” for the vaccines “remains positive”. The UK-wide deaths include seven cases of stillbirths, two of neonatal death and 26 reports of spontaneous abortion reported for H1N1 vaccines – however, the MHRA report states “there is no evidence of any H1N1 vaccine-associated risk to pregnancy”. And: “…It is important to bear in mind that these are likely to be purely coincidental events and would have occurred anyway in the absence of a vaccination. Retired GP and South Belfast MP Dr Alasdair McDonnell is a strong advocate of government vaccination programmes. He said: "While there can be adverse reactions and thank God occasionally but rarely death, the point is that the vaccine prevents a lot more illness and a lot more death. “For every child that has an adverse reaction to a vaccine you probably have 200 or 300 children who might have been seriously damaged by the illness or four or five out of that number might have died as a result of the illness. Almost 150 claims have been made on behalf of children who received vaccines in Northern Ireland since the Vaccine Damage Payment Scheme was introduced by the government in 1979. 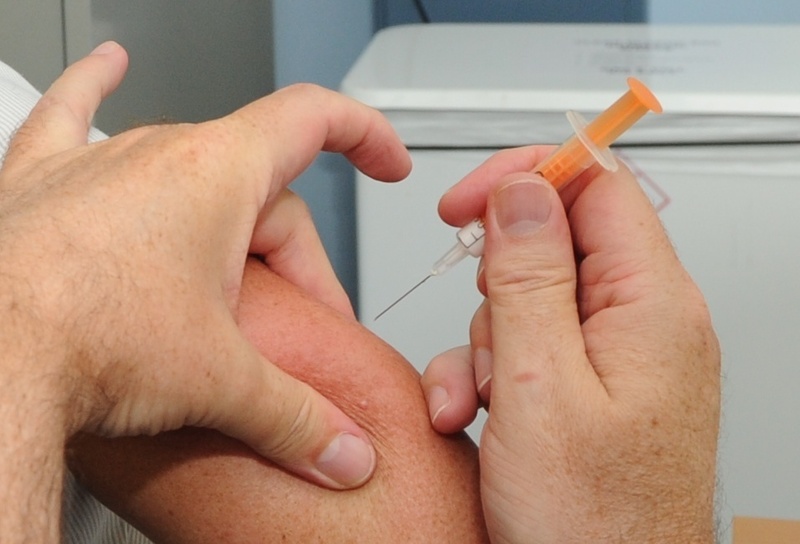 In a response to a Freedom of Information request from The Detail, the Department for Work and Pensions (DWP) has confirmed that almost £2m has been paid out in compensation to 25 people vaccinated in the province since 1979. In each of these cases a vaccine damage award was granted because it was accepted that individuals had been severely disabled as a result of a vaccine listed in the VDP Act – which includes MMR, tetanus, whooping cough and polio. Disappointingly, the DWP said it was unable to give details of the specific vaccination to which each payment relates and also was unable to provide details of the damage or disability caused. By the age of five most children in Northern Ireland will have received vaccinations at two, three and four months of age, 12 months old, 15 months old and booster injections – including a second MMR (Measles, Mumps and Rubella) jab – before they start school. One of the most high profile vaccine scares centred on the MMR jab and its possible link to autism in children. However, research carried out by Dr Andrew Wakefield has now been discredited. The DHSSPSNI website states that since the MMR was introduced here in 1988, the number of children catching measles, mumps and rubella has “fallen to an all time low”. It also says that MMR uptake rates in Northern Ireland are the highest in the British Isles with nine out of 10 parents here choosing to have their child immunised. The medical profession has to consider the hard statistics. There is a low risk of a reaction to most vaccines and a huge benefit to vaccinating thousands of children against some very serious diseases. According to one leading Northern Ireland GP, vaccinations are about weighing up the benefits against the risk. 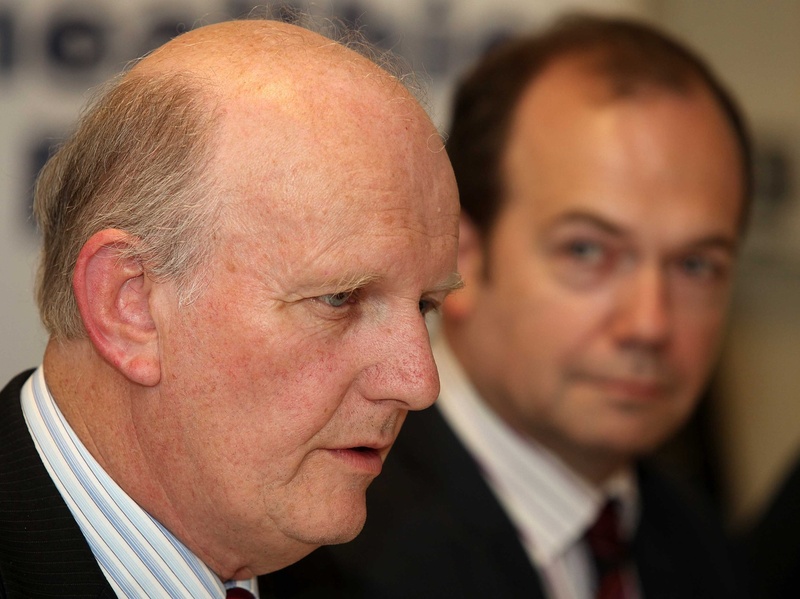 Dr Brian Dunn, chairman of the NI General Practitioners Committee of the BMA, said: “Doctors’ view on MMR has not changed. We think it is a safe vaccination and that the illnesses it protects against are very serious. However, he continued: “I have had people who have blamed MMR for autism in their children but in days gone by they would have blamed whooping cough. Dr Dunn continued: “I think you can have a reaction to anything. The doctors and the nurses know that and are prepared if someone has an anaphylactic reaction. Vaccinations and all of medicine is about weighing up the benefits against the risk concerned. Doctors’ surgeries across Northern Ireland receive thousands of pounds each year for meeting vaccination targets for MMR and other childhood vaccines. Thousands of parents in Northern Ireland have opted to pay privately for single vaccinations rather than the combined three-in-one MMR jab. Single jabs cost around £100 each. However, even the single vaccine route is now less straightforward. There are over 500 children on a waiting list for the mumps vaccine at Synergy Healthcare clinic in Belfast – the main clinic for single vaccines in Northern Ireland. The main manufacturer Merck confirmed in 2009 that it would no longer produce the single mumps vaccine and this has resulted in a UK-wide shortage. Synergy fears that some parents may now choose not to immunise their children at all if they cannot obtain the three components of the MMR in single form. Figures provided by the Public Health Agency show there were 628 cases of mumps in Northern Ireland in 2009 – compared to 135 in 2008. There were also 51 cases of measles and 14 of Rubella. Despite thousands of children being immunised and a higher take up rate than other parts of the UK, these diseases haven’t gone away entirely and probably never will.